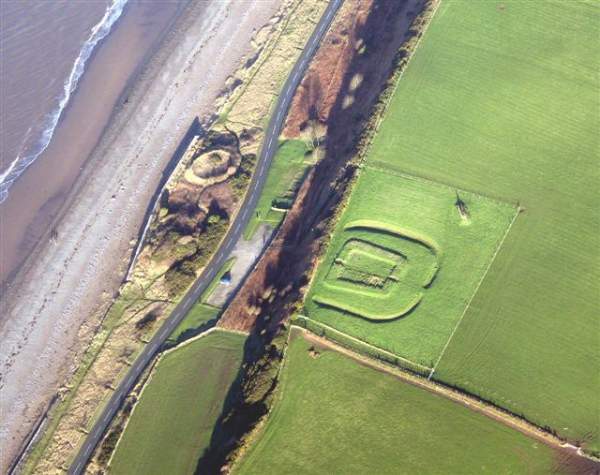 Just south of Allonby, located on Hadrian’s Cycleway, are Milefortlet 21 and the Saltpans of Crosscanonby. 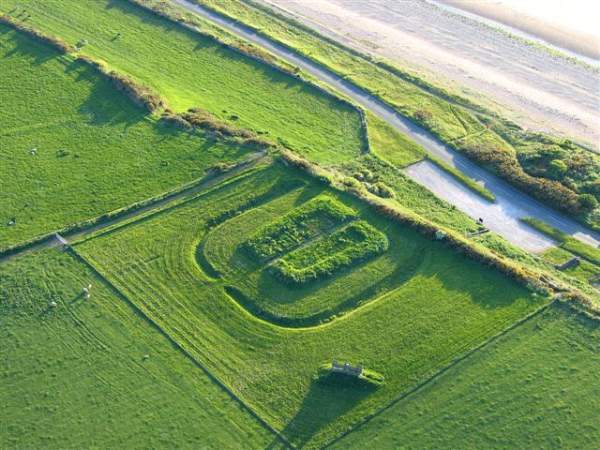 Milefortlet 21, the first total excavation of a milefortlet, and a designated World Heritage Site, reveals a wealth of information about the lifestyle of Roman troops in Britain. 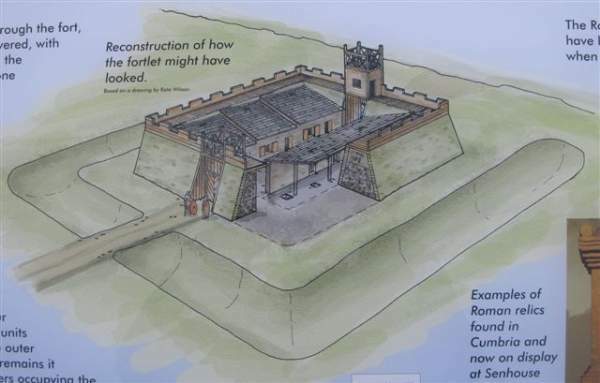 The stone milefortlets measured about 15 x 18 metres, and the typical layout is clearly shown here – with two gates, a central passageway, and either side of this accommodation for the men in two barracks. None survive above a few stone courses, so it is impossible to know what they actually looked like. One of a chain of evenly spaced mileforts, it was part of the coastal system of defences, between Bowness-on-Solway, the western end of Hadrian’s Wall, Maryport, and Ravenglass, though no wall was built down the west coast. There is a car park beside the coast road, and a viewing platform for the fort.